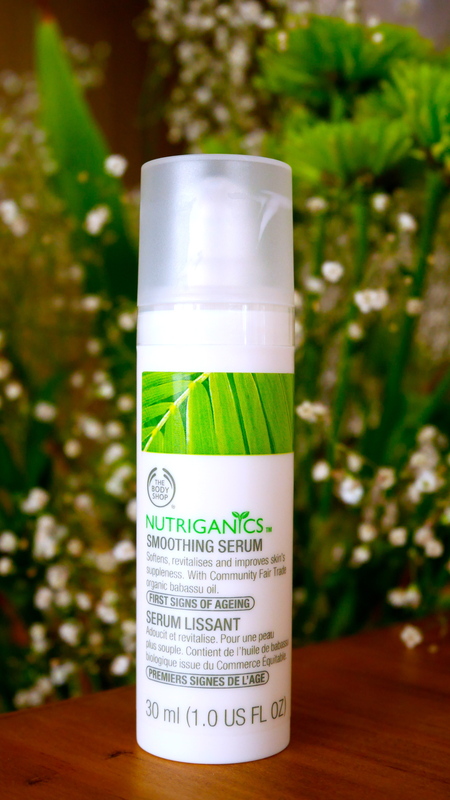 This serum purchase was enabled by Caroline Hirons in her recent budget buy video (Click Here). Community Trade organic aloe vera from Guatemala soothes the skin. Organic buddleja and thyme from Switzerland give antioxidant protection from free radical damage. Honestly, in terms of smoothing & revitalizing skin and protection from free radical damage, I don’t know. However in saying so, it does a reasonable job at soothing and hydrating my skin. The last point is one of the main reasons why I like this serum, it smells ‘D’vine! It’s very light weight and absorbs quickly into skin. Personally I don’t finish it off with moisturizer however drier skins might want to finish it off with moisturizer. The Nutriganics range have ‘Drops of Youth’ face oil which I’m curious to try. If you tried it, please share your experience.